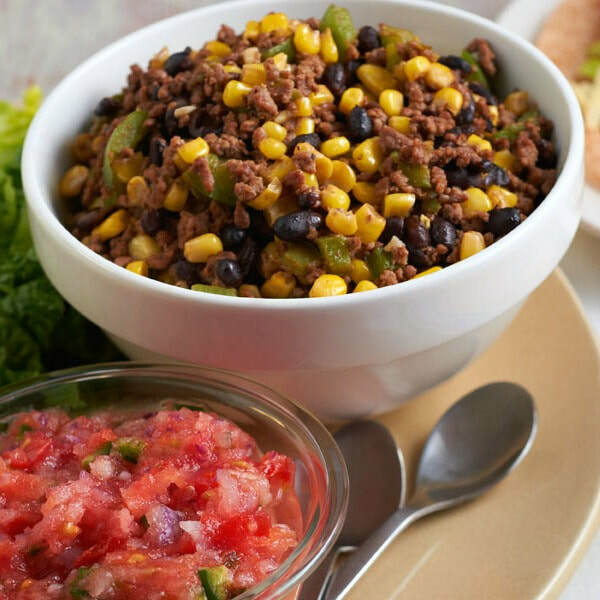 This Tex-Mex skillet can be used as a taco filling or try it over rice or your favorite whole grain. Need other ideas for taco fillings? Try these vegetarian tacos, salsa chicken, or fajita chicken bake. In a large skillet over medium-high heat, cook meat, bell pepper, and garlic, until meat is lightly browned. Drain to remove fat. Divide the mixture evenly among the 8 tortillas. Top each with cheese, salsa, and lettuce. Roll up and serve. *Nutrition information includes ground beef in analysis.